..I have another layout to share with you today, I actually made this one a few weeks ago & I shared it in a vlog but I don't think I've ever got around to blogging it..
anyway the photo's are super old, they were taken on Sofie's 7th Birthday (& she's 15 now!).. 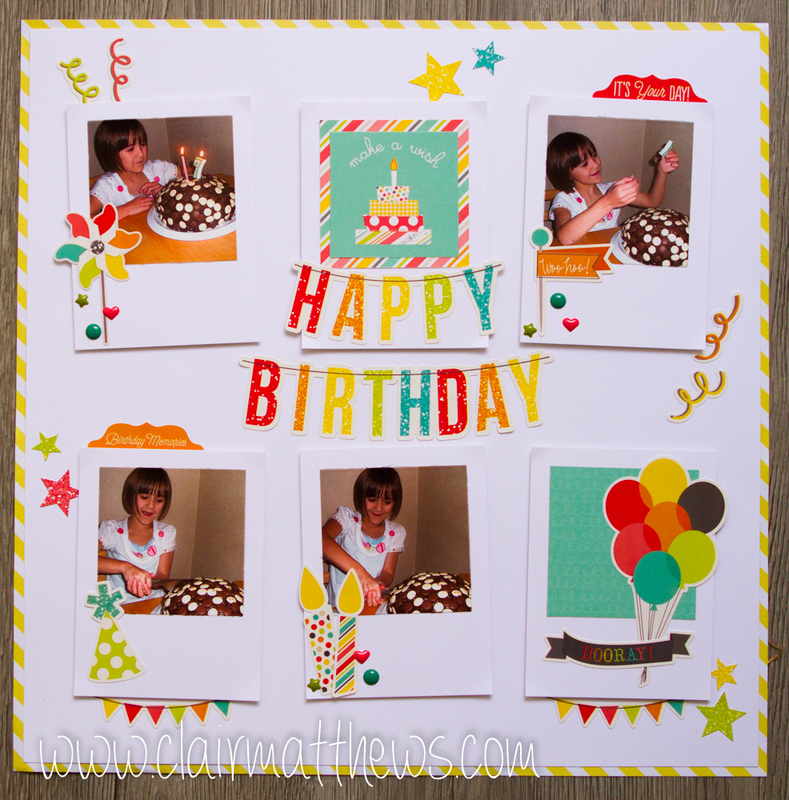 I made the Polaroid style frames by a rectangle & then using a smaller square die to die-cut the centre out. since making this layout I've actually gone ahead a purchased the Lawn fawn Polaroid die but in all honesty it's super easy to do without a die & you can adjust the size to suit too!! I hope it inspires you a litte.